Manufacturer of a wide range of products which include semi dried ferrous sulphate, ferrous sulphate pure grade, ferrous sulphate monohydrate, ferrous sulphate 19%, ferrous sulphate anhydrous and ferrous sulphate powder. 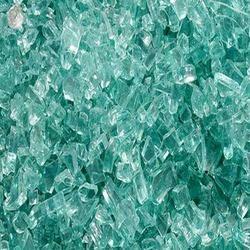 We are instrumental in offering Dried Ferrous Sulphate to our revered patrons. The offered chemical is used in the pharmaceutical industry for making iron tablets for patients suffering from iron deficiency. This chemical is pure and formulated in a sophisticated manufacturing facility by our diligent group of professionals. We are the provider of Ferrous Sulphate, which is formulated under hygienic conditions. Our products are made from high-quality raw materials. 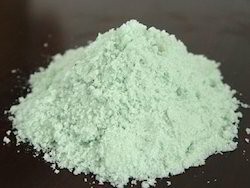 We are an experienced company manufacturing and offering top quality Ferrous Sulphate, which is available in the form of heptahydrate FeSO4.7H2O (green vitriol, Copperas). 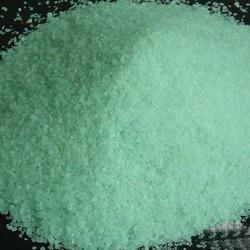 We are offering the wide range of Ferrous Sulphate Monohydrate. our all products are made from high-quality raw materials and latest technology. 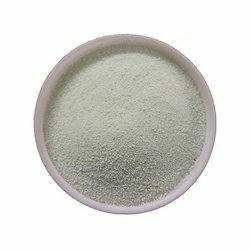 It is essentially a feed additive, which is used as supplement iron and considered ideal for poultry growth. This product can effectively improves soil and removes moss & lichen and used as a precursor to other iron compounds. Ferrous Sulphate Monohydrate is used as the pesticide for prevention of pathological changes of wheat and fruit tree. It is essentially a feed additive, which is used as supplement iron and considered ideal for poultry growth. 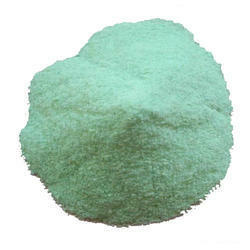 We are the profound provider of Ferrous Sulphate 19%. Furthermore, processed with the use of high-quality raw material, these products are favored for their stability, purity and Eco-friendliness. Processed under hygienic conditions, these products are formulated by our professionals. While the process of formulation, our experts use high-grade ingredients with the aid of sophisticated machinery and cutting-edge technology. We are profound organization engaged in manufacturing and supplying a quality range of Ferrous Sulphate Anhydrous. 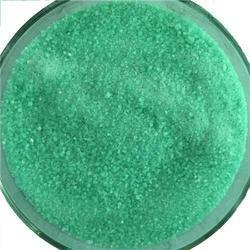 We are offering of Ferrous Sulphate Powder. These products used in animal feeds as it can stimulate the growth of animal's body. These drugs are also used for finishing the steel which is done after plating or coating. The entire range of products is processed using qualitative ingredients and advanced technology These products are made from high-quality raw materials and company standards. Looking for Ferrous Sulphate ?